The American Diabetes Association (ADA) and the European Association for the Study of Diabetes (EASD) have released the latest version of their guidelines on treating Type 2 diabetes in adults, building on previous guidelines published in 2012 and 2015. 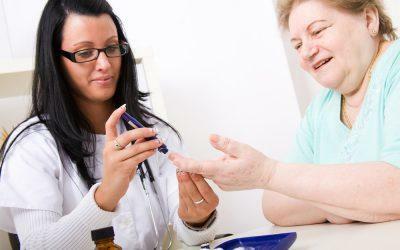 While the newest guidelines include updates related to nearly every area of diabetes treatment and self-management, they notably include a greater emphasis on lifestyle measures and diabetes self-management education and support. Other notable aspects of the guidelines include recommended interventions to achieve weight loss in patients with obesity, and new medication recommendations for those with clinical cardiovascular disease (CVD). The guidelines were published online in October 2018 in the journals Diabetes Care and Diabetologia, as well as presented at the EASD’s 2018 meeting in Berlin, Germany. Included with the new guidelines is a graphic “decision cycle” for glycemic management in Type 2 diabetes. The central goals of care, it notes, are to prevent complications and optimize quality of life. To that end, the guidelines recommend assessing a number of factors in patients, including their current lifestyle, comorbidities, cultural and socioeconomic factors and issues like motivation and depression. Upon considering these factors, the ensuing management plan should take patient preferences into account, empower the patient through goal setting and shared decision making and ensure access to diabetes self-management education. Ongoing follow-up, the guidelines state, should include not just traditional measures such as HbA1c, blood pressure and lipids and body weight, but also assessing tolerability of prescribed treatments and emotional well-being. This protocol involves first prescribing metformin for most patients. If HbA1c remains above target, the next step is to prescribe a GLP-1 receptor agonist or SGLT2 inhibitor — and, if necessary to control HbA1c, first one and then the other. If triple therapy with the aforementioned drugs still leaves HbA1c too high, or if one of the drugs isn’t well tolerated, the protocol then recommends adding a DPP-4 inhibitor if the patient isn’t taking a GLP-1 receptor agonist. If a DPP-4 inhibitor isn’t well tolerated or is contraindicated, cautious addition of a sulfonylurea, TZD, or basal insulin can then be considered. Concurrently, the guidelines recommend implementing lifestyle-based strategies for weight loss, considering evidence-based weight-loss programs, and considering medication or surgery for weight loss when appropriate. Bariatric or metabolic surgery is a recommended treatment option for most patients with a body-mass index (BMI) over 40, or between 35 and 39.9 who don’t achieve lasting weight loss through other means. For patients with atherosclerotic CVD or chronic kidney disease (CKD), the guidelines recommend using or continuing metformin unless contraindicated. If HbA1c is above target, a GLP-1 receptor agonist or SGLT2 inhibitor with a proven cardiovascular benefit should be added. If a patient is already on dual therapy including metformin and another agent, clinicians should consider switching the other agent for a GLP-1 receptor agonist or SGLT2 inhibitor. If HbA1c is above target or as part of reassessing glycemic targets, adding a GLP-1 receptor agonist or SGLT2 inhibitor as a third agent may be considered. Further agents may be considered, if necessary, based on demonstrated cardiovascular safety and CVD benefit. The new guidelines are comprehensive, and provide a roadmap for prescribing all currently available oral and injectable drugs for Type 2 diabetes. They also provide a framework for initiating or modifying therapies if there is a “compelling need to minimize hypoglycemia” in a patient, or if the cost of medications is a major consideration. Overall, they note, it’s important for clinicians to follow up with patients regularly to assess treatment goals, to make mutually agreed-upon changes when needed and to implement them in a timely manner to avoid clinical inertia.